Citing equity issues and the opportunity to guide growth, the Missoula City Council voted Monday night to annex 3,200 acres west of the city. 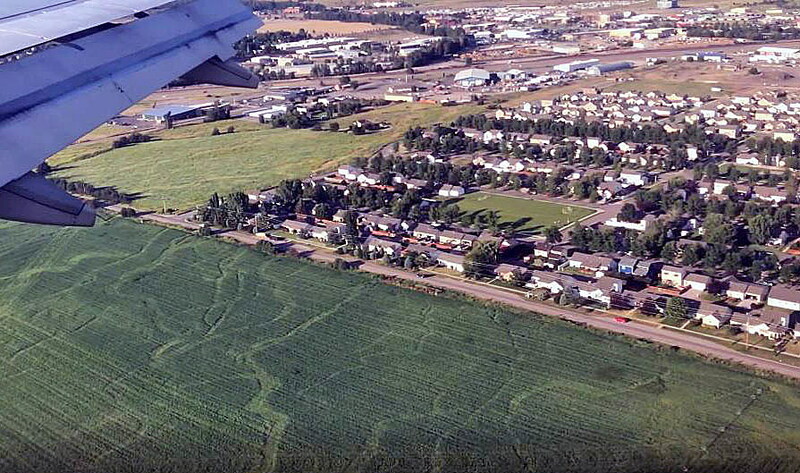 The rapidly developing area includes Missoula International Airport, the Missoula Development Park, Canyon Creek Village subdivision and DeSmet School. “Because these properties sit at the edge of the city of Missoula, some of them literally right across the street from the city line, the area has received, free of charge, all the services and benefits that come with the city of Missoula being right next door,” he said, listing cultural venues and events, job centers, the University of Montana, recreational facilities, city police and fire protection. A handful of business and home owners who spoke at Monday’s public hearing didn’t see the bargains, though. Business owners at Missoula Development Park told council members they were forced to sign waivers – against their will – agreeing not to protest annexation when they connected to city sewer. 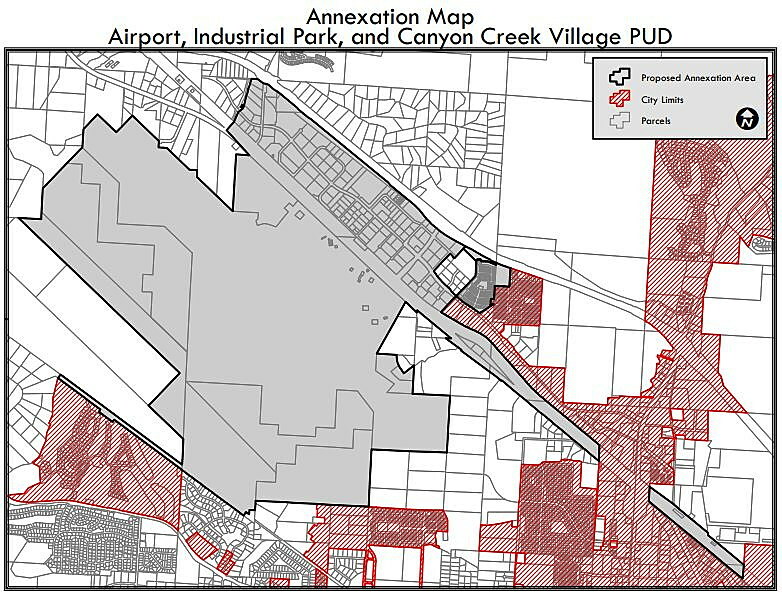 “It was forced on me,” said Don Snavely, who with his wife owns a property in the development park and is “very much opposed” to annexation. The annexation has destroyed his ability to develop the property, Snavely said. “Taxes are real items. Tenants have to pave them.” And the annexation is projected to increase property taxes in the area by 20 percent. “We don’t need you,” Snavely said. 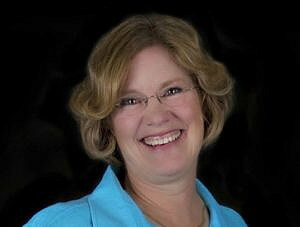 The math didn’t pencil out for Councilwoman Armstrong either. She reminded her fellow councilors that the state’s recent reassessment already increased property taxes in the area by between 22 percent and 54 percent. Annexation will add another 20 percent onto that. In addition, Armstrong said she was troubled by the fact that those added taxes will bring $1 million into the city, but they’ll be offset by a projected $700,000 in extra costs. Missoula County Commissioner Jean Curtiss, speaking only as a resident of Ward 2, criticized the annexation on a number of fronts. She also predicted that the higher city taxes would make homes in Canyon Creek Village unaffordable, further deepening Missoula’s affordable housing issues. Curtiss said Canyon Creek has welcomed many first-time homebuyers over the years, but that will quickly end following the city’s takeover. Again, DiBari provided the counterpoint. It all comes back to planning for growth, said Ward 2 Councilman Jordan Hess, who said the annexation gave him hundreds of new constituents.